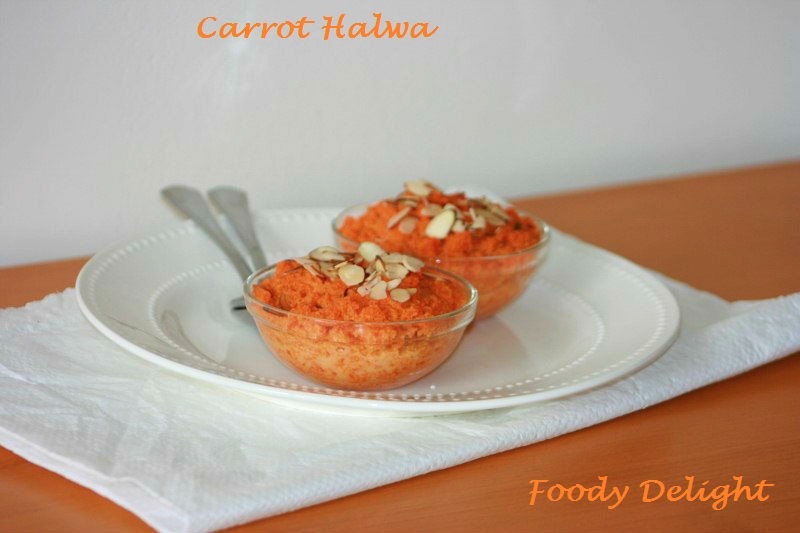 Combine the grated carrot and milk in a heavy bottomed pan and cook on medium high heat, occasionally until the moisture evaporates almost completely and the carrots are tender, about 30-35 minutes. Then add in the condensed milk and stir to mix everything together. Then continue to cook on medium heat, stirring occasionally to avoid any sticking at the bottom of the pan. time At same also add 1/4 cup of ghee.At some point the halwa will start to leave the sides of the pan completely and will be kind of sticky in texture. Then mix in the cardamom powder and saffron strands. Stir well and cook again for 2 minutes. When done turn off the flame. Heat the remaining ghee on low heat. Add the cashewnuts , slivered almonds and raisins and saute for about a minute, until the raisins plump up and the cashews gets nice golden colour. Pour this over the halwa and serve warm or at room temperature. 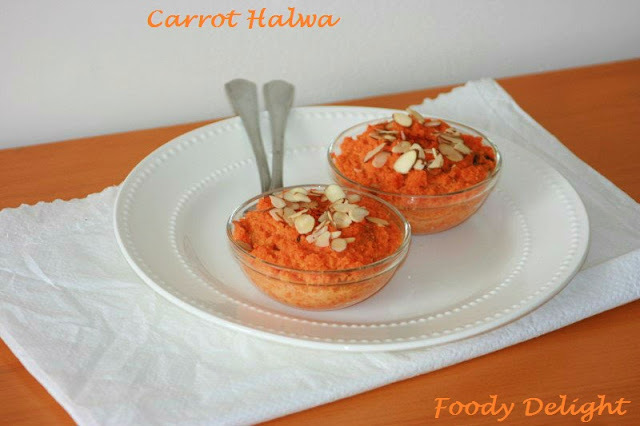 Loving that bowl of tempting halwa, yummy..